Stephen Davies: Credit must be given for the information below to a presentation given by Ma Koon You on Hong Kong dockyards at the HK Heritage Discovery Centre a couple of years back, and since supplemented by me. 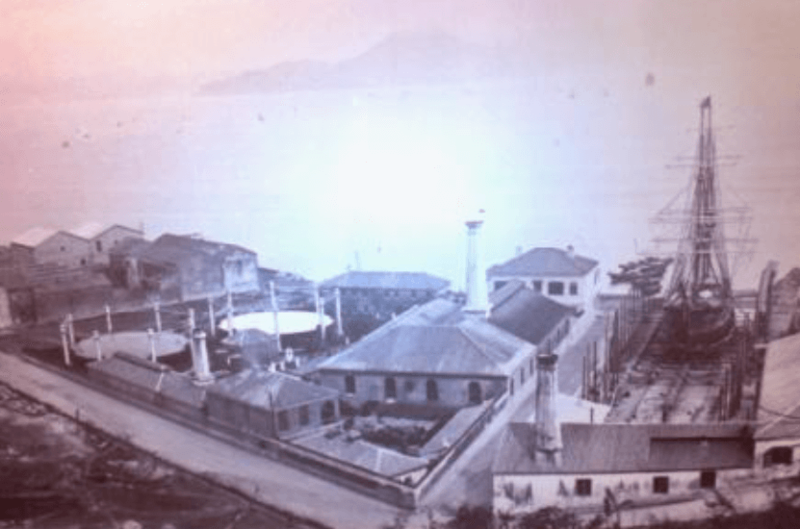 In the early 1850s in Sai Wan there was a boiler shop run by James Logan and William Swan, and a foundry run by William Dunphy at No.58 Praya. Nearby at 63 Praya Harper & Co sold shipbuilding equipment, basically the bits and pieces of patent slips. In 1855 either someone bought out Logan, Swan and Dunphy (or maybe they got together with another investor?) and a new outfit, Harper & Co., opened a shipyard at 58 Praya. Its main employees were Alexander MacDonald and David Gow. The concern was sold (back?) to James Logan in 1862 and he (?) sold it again in 1864 to a John Riach, who founded the Hong Kong Machinery Co. Two years later, in 1866, there was a large fire. Meanwhile in 1864, after Harper & Co sold out, Alexander MacDonald set up MacDonald & Co, a shipyard on his own at 184 Praya close by where the West Point gas works, seen on the left in the image below, was built around the same time. 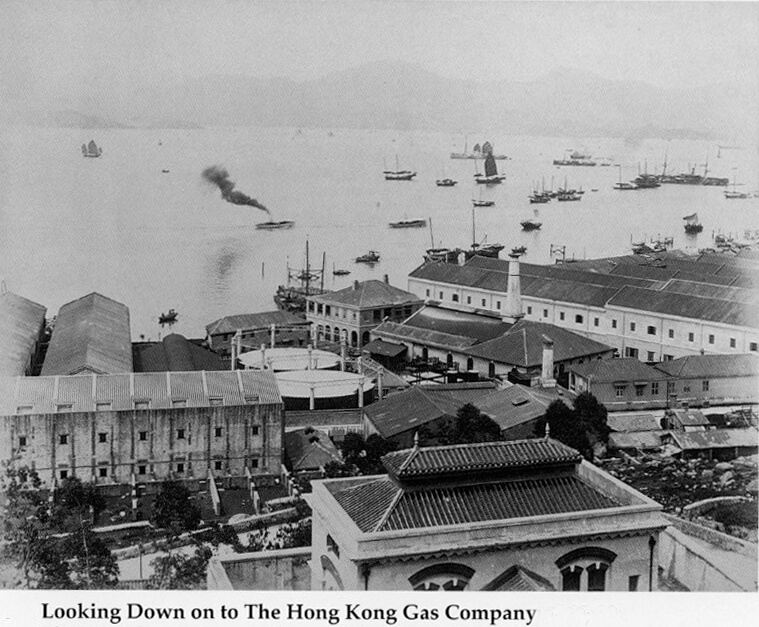 HF: Included in our article, The Hongkong and China Gas Company Ltd – early history from 1860s, is this image contributed by IDJ which shows the West Point gas works and shipyard behind at around the same time as Stephen’s photo above. SD: In 1872 MacDonald, who had returned to his native Scotland, died and his shipyard was bought by Capt G.U. Sands, who went on to become Sai Wan’s most influential shipyard owner. The yard was eventually bought by Hongkong & Whampoa Dock Co. though as yet I have found no clear date for exactly when. HF: A complicated history then with further research needed to confirm and supplement Ma Koon You’s and Stephen Davies’ timeline. 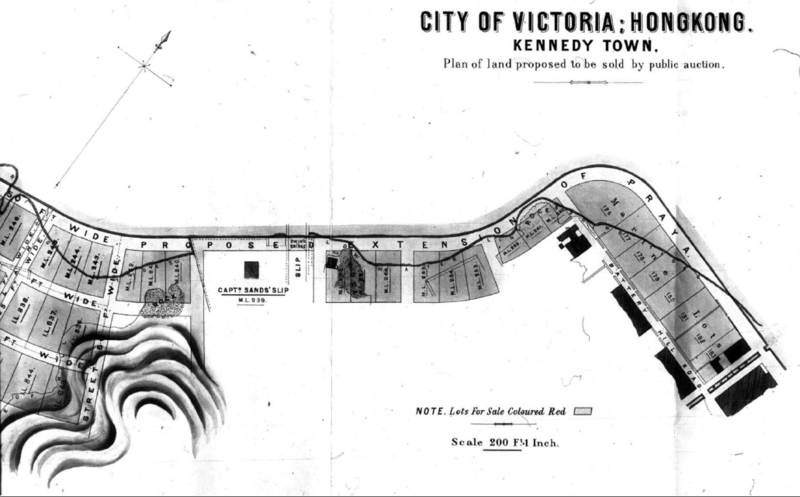 Q+A 20 George U. Sands – connection to three HK companies 1866 to 1880?